2018 proved a banner year for far-right populist movements in Europe and the Americas: They claimed the presidency of Brazil, sparked the collapse of the Belgian government, and—whether in or out of office—put a harder-edged stamp on migration and asylum policies in Austria, Denmark, Hungary, Italy, Sweden, and beyond. Populist sentiments flared in the lead-up to the December endorsement of the Global Compact for Safe, Orderly, and Regular Migration (for more, see Issue #8: A Once-Smooth Path for the Global Compact on Migration Becomes Rocky), with critics arguing it represented a back-door effort to trample on national sovereignty in migration management. Ultimately, however, just five of the 193 UN Member States voted against the nonbinding compact (the Czech Republic, Hungary, Israel, Poland, and the United States), with 12 abstentions. Still, at the outset of the pact’s negotiations, its proponents undoubtedly never would have predicted that thousands would protest it outside EU headquarters, with police ultimately turning water cannons and tear gas on the crowd assembled by Flemish right-wing parties. With migration driving a wedge between her center-right Christian Democrats and sister Christian Social Union, German Chancellor Angela Merkel announced in October that she would stand down as leader of her party in December 2018 and as Chancellor in 2021. Europe’s current longest-serving leader, Merkel has been politically weakened since her decision to welcome nearly 1 million asylum seekers during the peak of the 2015–16 refugee crisis. 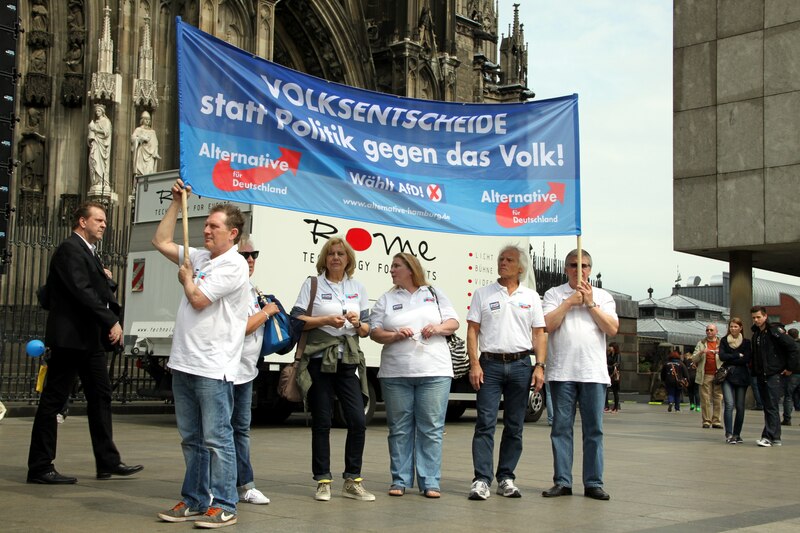 The anti-immigration Alternative für Deutschland (AfD) now has representation in every German state parliament and 94 seats in the Bundestag following 2017 elections—the first such showing for a far-right party in the country since World War II. More than three months after national elections in September that saw the nationalist, anti-immigrant Sweden Democrats win nearly 18 percent of the vote (less than anticipated, but enough to provide inconclusive results for the mainstream parties), the country was struggling to form a new government and appeared headed for a do-over election. After losing a confidence vote in parliament, Belgian Prime Minister Charles Michel announced December 18 that he would step down. The move came after his nationalist Flemish coalition partner, N-VA, withdrew from the government in disapproval of Michel’s decision to travel to Marrakech for endorsement of the Global Compact for Migration. Italy’s Interior Minister, Matteo Salvini, and Hungary’s Prime Minister, Viktor Orbán, joined forces in saying they would oppose European Union migration policies. Even in Canada, which has long exhibited strong public support for welcoming immigration policies, nationalist sentiments were visible as Conservative leader Andrew Scheer called on Prime Minister Justin Trudeau not to sign the Global Compact for Migration, saying it would permit “foreign entities” to have a hand in managing Canada’s immigration system. As immigration policies have hardened in this new political reality—including a greater focus on returning failed asylum seekers and other unwanted migrants, the narrowing of asylum pathways (see Issue #7: Asylum Hangover? Governments Seek to Narrow Avenues for Humanitarian Protection), and the closure of Italian and Maltese ports to NGO ships rescuing migrants in the Mediterranean—the courts are in some cases serving as a brake. In the United States, for example, the Trump administration has faced a number of setbacks in the court system, including judicial orders to stop separating migrant families and to stand down from efforts to withhold asylum from those crossing the U.S.-Mexico border illegally. While globalization, increased automation, shifting labor markets, economic inequality, and other factors play key roles in real and perceived societal fragmentation, a focus on immigration offers a simple, powerful message. Populists, according to one study, have more than tripled their support in Europe over the past 20 years. These gains have occurred particularly among those parties on the far right of the spectrum, which have mobilized effectively to tap into public anxieties over the major spike in the numbers of asylum seekers and migrants Europe received during 2015 and 2016—and have prolonged the impression of crisis even as these numbers have subsided. Amid continued public skepticism about governments’ willingness or ability to manage migration; round-the-clock media coverage of spontaneous migration from Africa, Central America, and beyond; and continued political messaging of immigration as a threat, it’s likely that far-right populist parties will continue to shape immigration debates—and policy—ahead in 2019.